Former Defense Minister Moshe Ya’alon claims he negotiated a better defense aid deal with the U.S. while he was still in office. 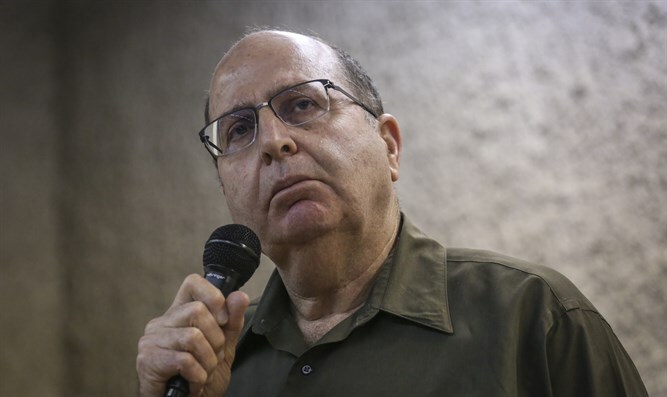 Former Defense Minister Moshe Ya’alon on Thursday joined in on the criticism of the $38 billion security aid agreement signed between Israel and the United States. Ya'alon was recently ousted from his position by Prime Minister Binyamin Netanyahu and replaced by Minister Avigdor Liberman (Yisrael Beytenu) and has declared that he is planning a political comeback. Speaking at the Washington Institute for Near East Policy and quoted by Channel 10 News, Ya’alon said he didn’t believe the money allocated in the agreement would meet Israel’s security needs. He hinted that in October 2015, while he was still in office as Defense Minister, he negotiated a better deal with his then-counterpart Ashton Carter that included a list of capabilities that would have been available to Israel. “Put in another perspective: I don’t believe that $38 billion will provide all the capabilities or meet all our defense needs,” Ya’alon said, according to Channel 10 News. "We will now have to go through a prioritization process in Israel to see what we can get and what we prefer to leave,” he added. Ya’alon’s criticism followed that of another former Defense Minister, Ehud Barak, who went a step further and blamed Prime Minister Binyamin Netanyahu’s conduct for the agreement. Writing in an op-ed in the Washington Post, rather than the Israeli press, Barak claimed that this agreement is indicative of the level of mistrust between Netanyahu and the American administration. Meanwhile, former deputy foreign minister and Israel Ambassador to the US, Danny Ayalon, told Arutz Sheva he believed Israel could have received much more if Netanyahu had not spoken out against the nuclear agreement with Iran. "Israel asked for much more and the Americans would have been willing to give more if the agreement had been signed before the nuclear agreement was signed in Vienna. Here there was a missed opportunity, as if the Prime Minister had agreed to waive his speech in Congress, we could have asked for more and received weaponry which could have a significant effect on our security."